Some procedures in this section may affect the supplemental restraint system (srs). Prior to performing the procedures, read the srs section's "precaution" (see page rs-1). Using needle-nose pliers, remove the band clamp as shown in the illustration. Using a screwdriver, detach the claws and remove the switch. If the result is not as specified, replace the dimmer switch assembly. 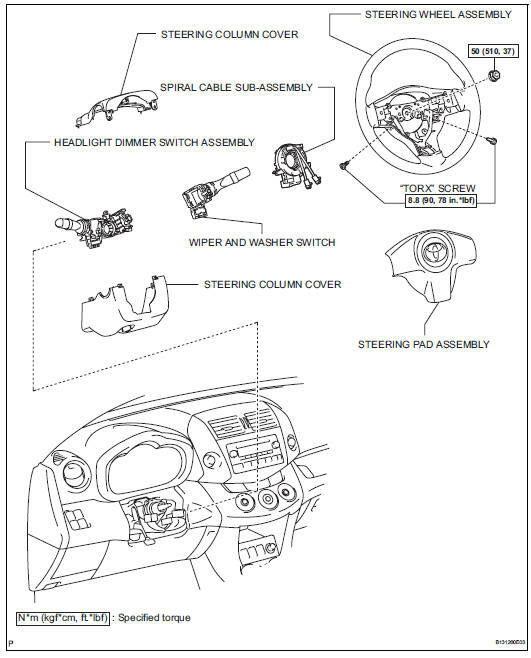 Attach the claw to install the headlight dimmer switch with the claw as shown in the illustration. Install the headlight dimmer switch with the clamp.